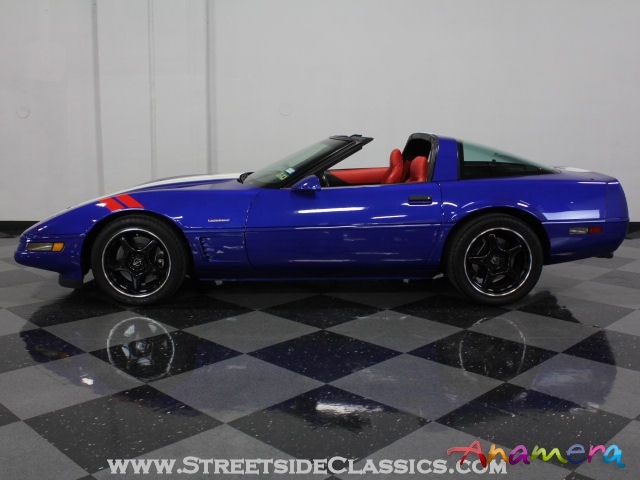 GM has always known how to create special editions, but few were as special as the 1996 Grand Sport Corvette. 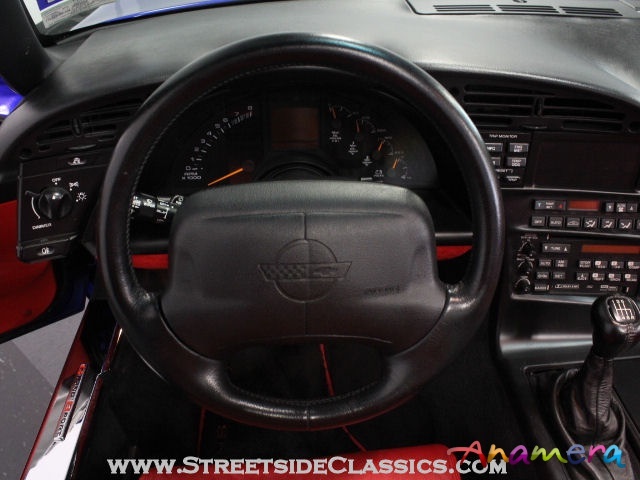 Limited to just 1000 models (of which this is one of only 91 coupes with the red interior and F45 adjustable suspension), it's arguably the best-looking C4 ever built. Add a rare pedigree and a high degree of collectability and you have an A-list future collectable that's an absolute blast to drive. 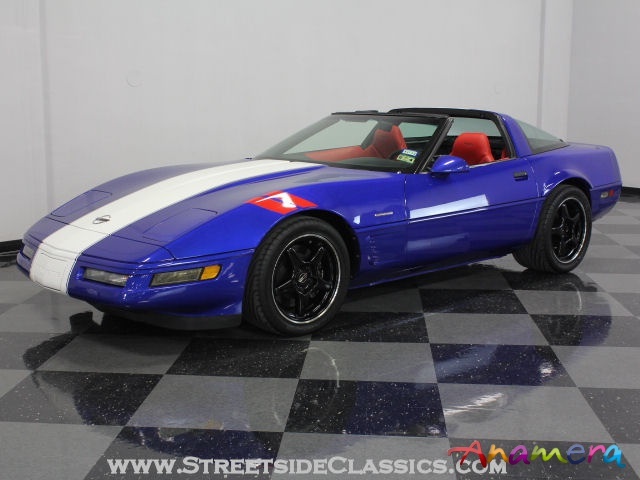 This particular Grand Sport also has a lot of documentation including the original window sticker and more, making it a no brainer investment. It was no secret, even in 1996, that these were going to be hot properties. 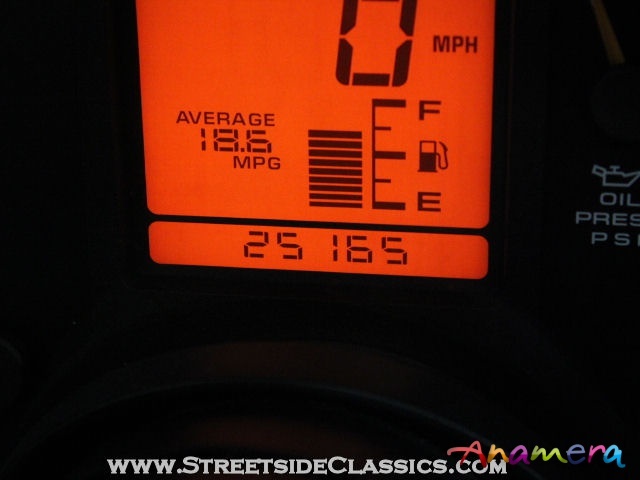 As a result, this one shows just 26,633 original miles and remains in virtually 100% original condition. 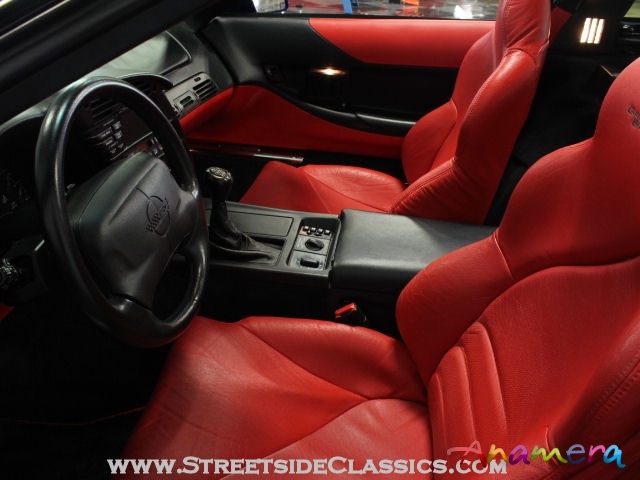 Collectors snatched them up, and only the most visionary of them ponied up for the red interior, which really and truly makes the car so special. 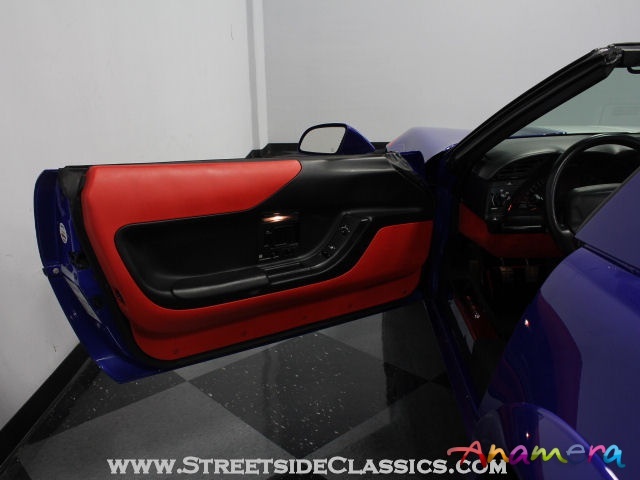 The Admiral Blue bodywork with white stripe and red "hash marks" on the front fenders is designed to emulate the early '60s Grand Sport 'Vettes fielded by Zora Arkus-Duntov and the look works incredibly well on the sleek C4 shell. Thanks to proper care over the past two decades (has it been that long already?!?) this one remains in virtually showroom-fresh condition with only the most minor signs of use. The bodywork was completely stock on the Grand Sport save for the add-on fender flares over the rear wheels which permit the use of ZR-1 sized rubber on the coupes, making for a substantial performance boost. There are also a few chrome "Grand Sport" badges, just in case you missed all the stripes. 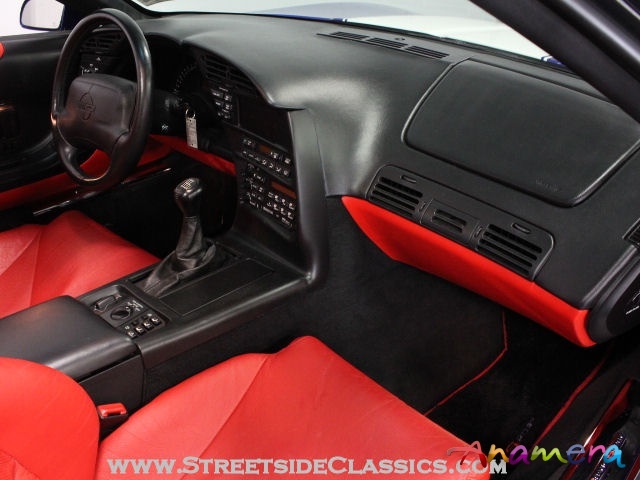 The red interior in this coupe truly sets it apart and is a big part of what makes this a sure-fire bet for future collectability. 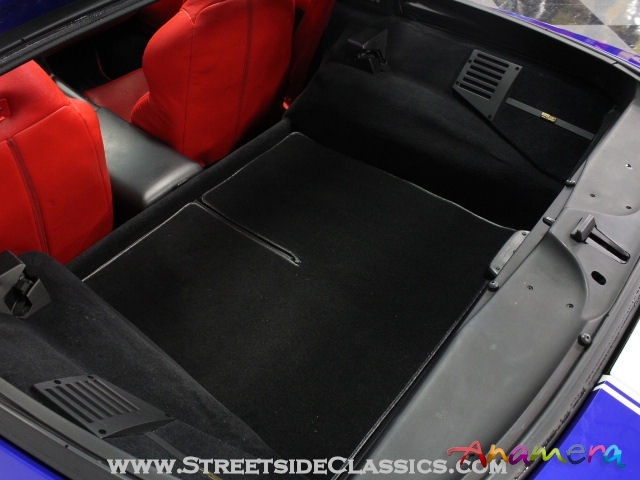 Black upholstery was available and a lot of guys took the easy way out by buying it, but that only makes the Torch Red that much more valuable today. 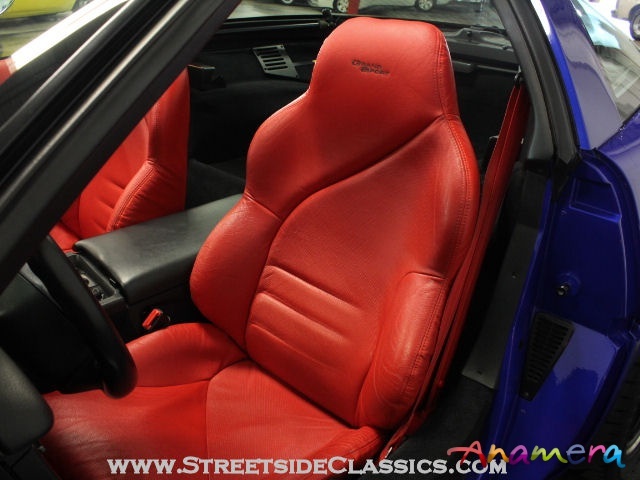 Articulated sport seats are grippy and supportive and wear leather that wears like iron, so it's still in almost new condition. 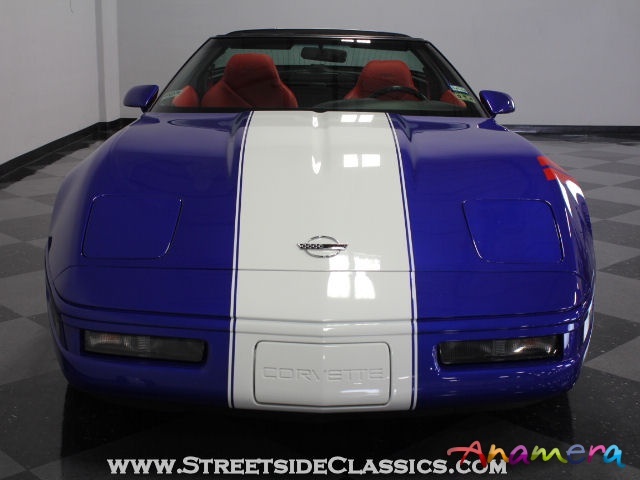 Aside from the "Grand Sport" embroidery on the headrests, the interior is pretty much stock C4 Corvette, including the combination digital/analog instrument panel, the center stack full of buttons, and a 6-speed manual gearbox, which was standard equipment on the LT4-powered Grand Sport. All the options and features are there, including Preferred Equipment Group #1, which amounted to electronic climate control, power driver's seat, and a Delco/Bose sound system. 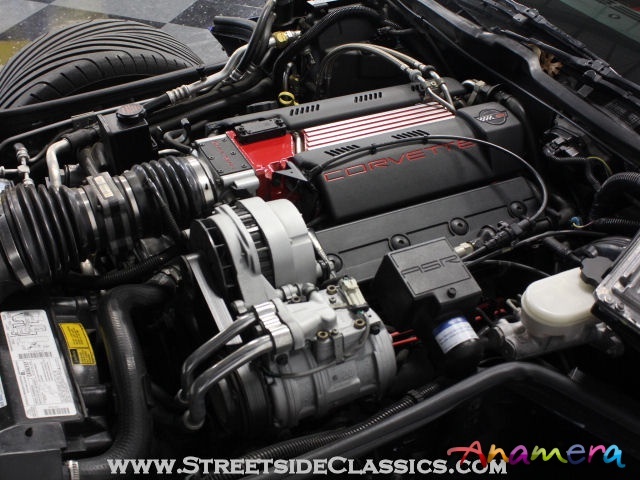 Grand Sports used the final version of the venerable small block Chevy V8, the LT4. 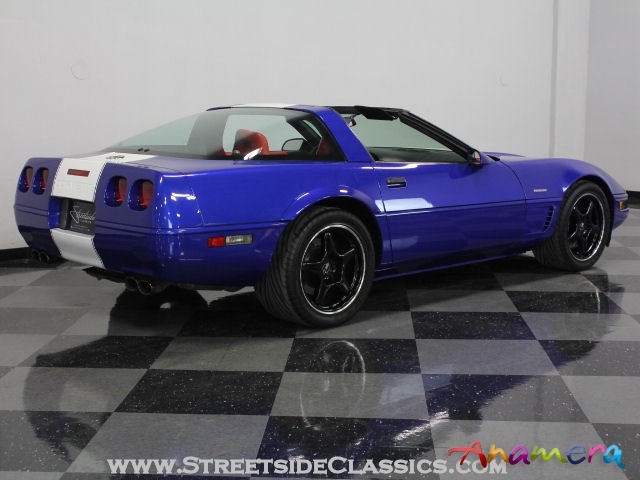 With a slightly hotter cam, more compression, and revised engine mapping, it made an extra 40 horsepower over the standard LT1 and was available only with the 6-speed manual gearbox. It's identifiable by its bright red intake manifold, which is standard equipment, while the rest remains like other Corvettes. Everything is just the way the factory intended, from the A/C compressor to the air intake, which is remarkable given how easily modified these engines are. An aftermarket Power Effects exhaust system is the lone modification. The F45 adjustable suspension makes this a no-compromises cruiser that can still hit the track, and it carries fresh Goodyear rubber on those 17-inch black A-mold wheels. Still available for less than sticker price, you should be aware that it won't last. 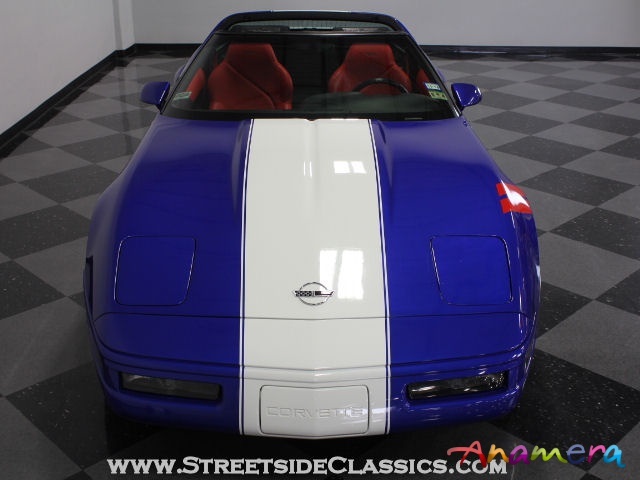 These cars are on a lot of Corvette collector's lists and this is one of the rarest of them all. Call today!